We're spread across time and space this week for the sixth chapter of the fourth volume of the Necrocasticon. Mr. Scott is at the helm, as Tom was on assignment, bringing us back interviews with horror author Drew Stepek, the man behind the Knuckler series and #SummerZombie author Tom Malafarina. 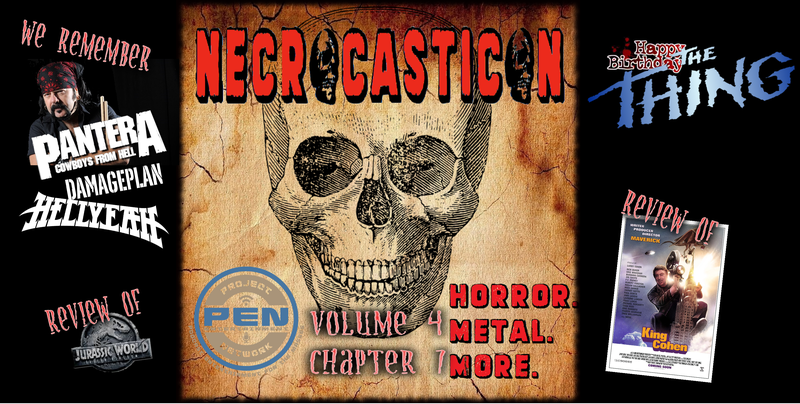 Volume 4 Chapter 5 of the Necrocasticon features the very metal and horror film producer Christian Ackerman about his docu-book, My Favorite Horror Movie, and the #SummerZombie author, MV Clark (The Splits).